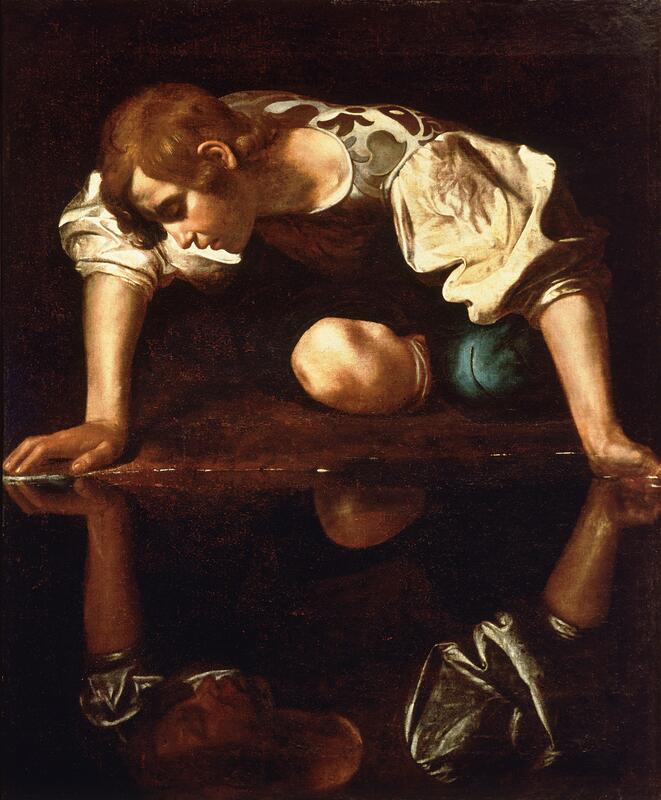 Caravaggio’s Narcissus (1594-96) – talk about someone with interpersonal issues – May 15, 2011. (Masur via Wikipedia). In public domain. As I began to work on Boy @ The Window six years ago, I realized that my story would be far from complete without the words and thoughts of my former classmates, teachers, and family members in my head. Thoughts about themselves. Thoughts about Humanities. Thoughts about me. Thoughts about our world and our times. After all, I hadn’t thought about most of these folks in nearly two decades. I had already started with my late, wonderful teacher and mentor, Harold Meltzer several years earlier. My first interview with him was in August ’02, but the first time we discussed the possibility of me doing Boy @ The Window goes back to February ’95. I was working on my doctoral thesis, living in DC for a couple of months while hitting the archives and libraries up for dusty information. In need of a writing break, I gave him a call on one cold and boring Saturday afternoon. Meltzer answered with his usual “H. MMMMMMM. here?,” the M’s strung together like a long string of pearls bouncing slightly as you’d lay them gently on a table. When I said who it was, he said, “DONNIE!! Why, it’s so good of you to call!” in his halting suburban New York accent. Little did I know that this was the start of a three-hour-long conversation. We spent a lot of time talking about the salutatorian of my class, the Class of ’87. To me, he — let’s call him ‘S’ — was always an enigma. I genuinely felt both in awe of and disheartened by his presence in my life during the Humanities years. I thought it was amazing that he was able to do as much as he did. The high school band. The mock trial team. The school newspaper. Our yearbook. An appearance on Phil Donahue! At least he wasn’t a star basketball player too, especially in Mount Vernon. I felt the side effects of S’s success. Teachers telling me that I should be more like S, as if I was S’s younger, underachieving brother. I saw how S occasionally cashed in on his built-up academic capital to give himself more time to work on assignments no one else got a second of overtime to do. I don’t think I ever wanted to be S or become close friends with him, though. Something about his need to be well-liked by our peers and teachers bothered me. I said as much during a three-hour meeting we had during my first work-related trip to Sacramento during the second week of March ’06. When S asked what I thought of him, I said, “I thought that you were…obsequious, ingratiating…no, that’s too strong…I sensed that you needed to be liked by our classmates and teachers.” I don’t know exactly what S thought about my description of him, but then again, he did ask. Mitt Romney’s proof positive that short of himself, calling someone obsequious is a strong statement. 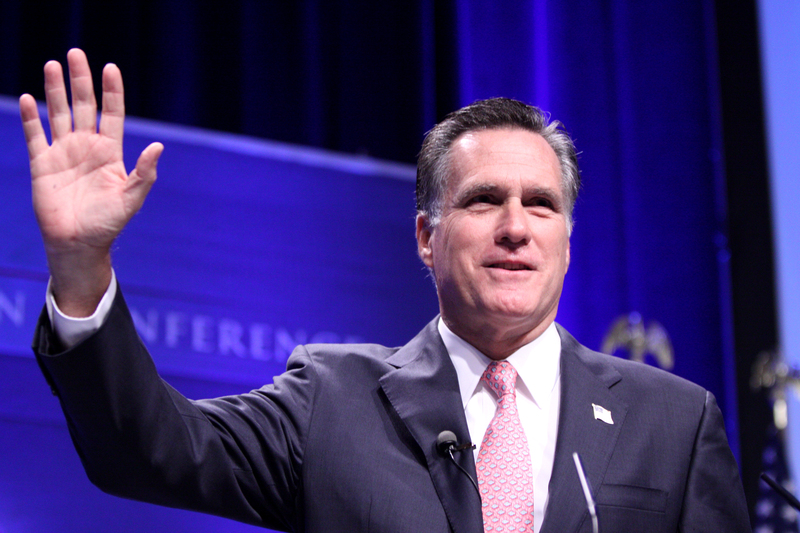 Romney at CPAC 2011, Washington, DC, February 11, 2011. (Gage Skidmore via Wikipedia). In public domain. “For the most part, as far as you were concerned, I didn’t exist . . . I mean, I was there, of course, but I wasn’t in any of your circles, so I didn’t really exist for you as a real person,” I said in response. I based that answer on S’s rare attempts to make conversations with me, ones that were mostly of the shaking-his-head-in-confusion ones. He didn’t get my attraction to the pop/rock band Mr. Mister, an ’80s prelude to Creed, I guess. “They can’t sing,” S said to me in Warns’ English class once as a reference to Mr. Mister’s #1 hit “Broken Wings.” The incident on the school bus on our Albany/FDR trip was another example (see my “An a-ha Moment” post from October ’10). At the time of my ’95 conversation with Meltzer, I’d recently published an op-ed in my hometown and county newspaper, “Solving African American Identity Crisis,” Somehow our discussion of that piece led to a discussion of S. Meltzer told me that S “had a really hard time at Harvard” and that he’d “graduated with Gentleman’s Ceeeeeeeee’s,” the C’s rolling off his tongue in the process. Meltzer asked if I knew what S’s problem was when I brought up the whole June ’89 conversation I had with S, the one that showed me his obvious confusion about himself (see my “Strange Days” post from June ’09). After an unusually long pause on the phone — it was long even by Meltzer’s own standards — he said, “You’re exactly right.” We spent the rest of our S discussion talking about him in high school and his need to be liked as a significant part of his identity issue. I thought of all this as me and S ended our meeting that cloudy Northern California day six years ago. As I explained my plans to track down Crush #1 as part of what would become Boy @ The Window, S warned that she “has some interpersonal issues.” As if she were somehow off her medication when she visited S in ’04. I said, “Don’t we all?” in response. Neither of us had any room to talk about anyone else’s issues.